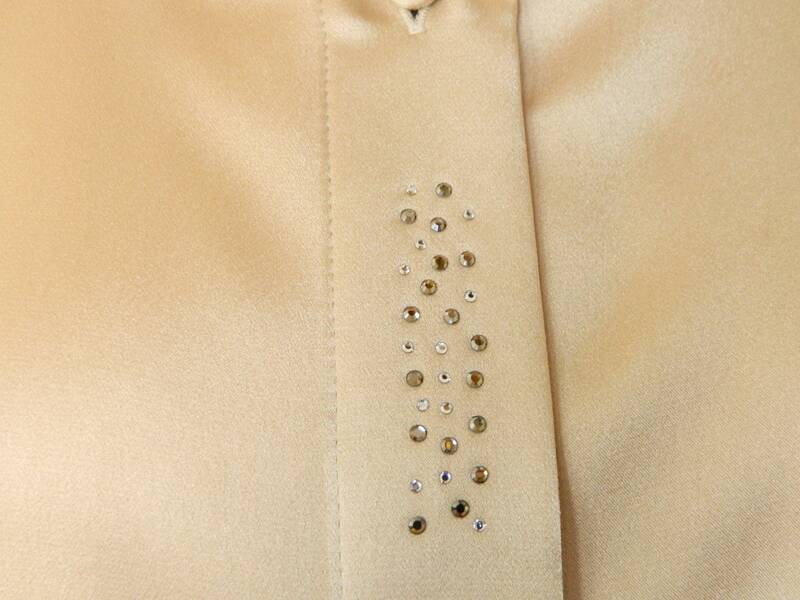 Elegant blouse in beige/gold, front with kelinen rhinestone stones. 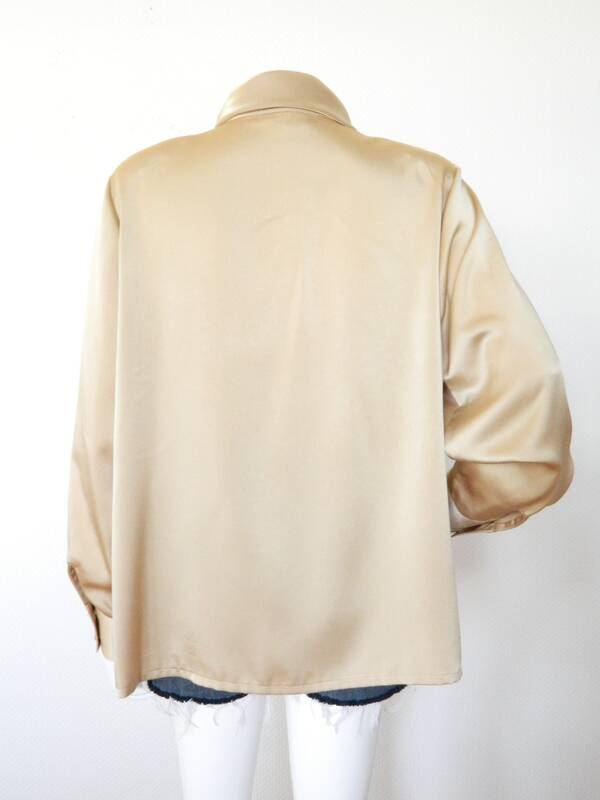 The collar can be turned into a kind of turtleneck button. The Äreml are cut far and airy. Very good condition. 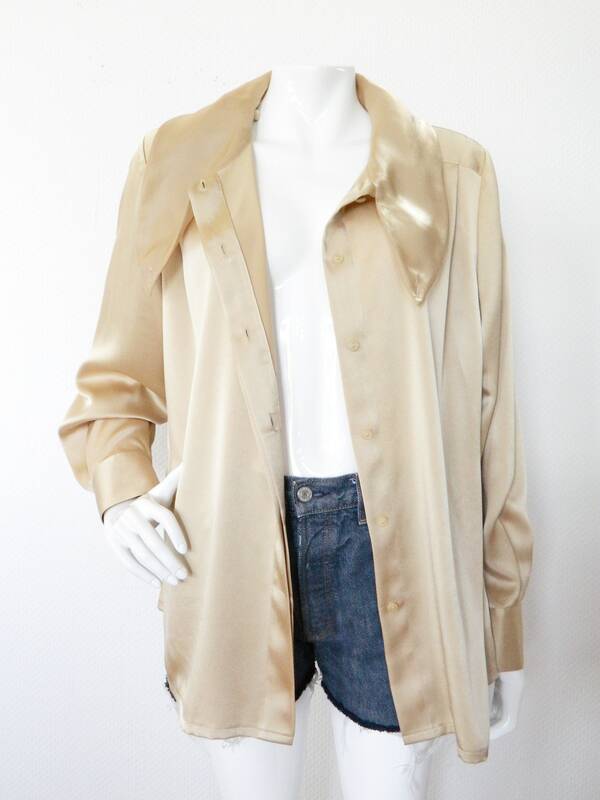 Elegant blouse in beige/gold, in front with small paste stones takes. The collar can be buttoned to a sort of roll neck. The sleeves are wide and cut aerial. Very good vintage condition. Chest 67 cm, 26 "